It’s officially spring! And everyone here at Restore Beauty, your premier aesthetic clinic Fort Collins, is happy to welcome you to the new season! As you know, the days will soon be getting noticeably longer and warmer and the flowers will be blooming. And you know what comes with that, right? Are you ready, or does the thought of a pool party send unwelcome shivers down your spine? Don’t worry, we totally understand. It’s been a long cold winter full of baggy sweaters, and who can forget the bomb cyclone blizzard of 2019? Yeah. We’ve got months of dry skin, leg-hair overgrowth, and baggy clothes to contend with. Now’s the time to make sure you’re spring and summer-ready with the help of your favorite Fort Collins aesthetic clinic! If you’re unfamiliar with the term, an aesthetic clinic is a clinic that focuses on improving cosmetic appearance through the treatment of conditions including skin laxity, wrinkles, scars, excess fat, cellulite, unwanted hair, and spider veins, among many others. Aesthetic medicine includes both surgical and non-surgical options. And while these types of procedures are usually elective, they can significantly improve quality of life, psychological well-being, and social engagement. So why is Restore Beauty Northern Colorado’s premier aesthetic clinic? Well, here are our top three reasons. “Restore beauty is AMAZING!! They have the latest technology and the best staff! They care about your goals and are realistic and safe!” – Jenita. 2.) Services – No matter what you would like to have done, there’s a high probability that we offer the service that you’re looking for. We provide an array of services within a number of categories, including anti-aging, body sculpting, hair removal, hair restoration, injectables, women’s health, and facials. Visit our website here to learn about all of our amazing services and schedule a free consultation to discuss any one of our services with our beauty providers. 3.) Results – When it comes to you choosing the best aesthetic clinic Fort Collins, the results speak for themselves. We have life-changing success stories from a number of clients, when it comes to an array of our services. “I have been seeing Leslie for PICO laser treatments to fade the melasma and skin damage I have had on my face for several years. After the first 4 treatments, the red/purple pigmentation was much better. I have had one additional treatment so far, and it has been very successful in fading these stubborn spots. I really appreciate this practice, because they care about their patients and making sure the treatments they offer are safe but also the most effective that can be offered. I highly recommend them for your skin care needs.” – Carole. If you’d like to see more amazing before and after comparisons, just visit our website! So, if you’ve been searching “aesthetic clinic near me” as shorts and swimsuit weather draws nearer and nearer, then you need to check out Restore Beauty, your premier Fort Collins aesthetic clinic. We have the most amazing staff, services, and results. You won’t be disappointed. Call 970-278-0900 to schedule your free consultation today! If you’re looking for the best liposuction Northern Colorado has to offer, then look no further than Restore Beauty in Loveland, CO. Restore Beauty is one of the most advanced aesthetic clinics in Colorado. As a research and training institute, we have access to the latest technologies, devices, and treatments. We understand that getting in shape is a commitment that involves setting aside the time to work out and eat right. And when you’re not getting you the results you want, it can be frustrating. If there are some areas on your body that you’re just not happy with, no matter how hard you try, then liposuction at Restore Beauty might just be the solution you’ve been looking for. So what exactly is liposuction, and when is it right for you? Liposuction is a body-contouring procedure that removes stubborn fat from different areas on the body. At Restore Beauty we utilize a minimally invasive form of liposuction combining tumescent anesthesia (local anesthesia mixed with sterile saline) along with a vibrating cannula to gently loosen and suction fat cells from the treatment areas. When it comes to liposuction at Restore Beauty, we use only local anesthesia. There are a number of reasons for this. You are relaxed but fully awake during the procedure, which allows you to interact with our physician and staff, minimizing the risk of injury that can occur when patients are under general anesthesia. This also eliminates the need for a surgical center and nurse anesthetist, which makes the procedure more cost-effective for our clients. The BodyTite device allows us to heat the tissues under the skin in order to melt the fat, making it easier to suction and remove, even from fibrous tissues. The BodyTite device tightens the skin (much like bacon shrinking on a skillet) and stimulates the production of collagen over the following 6-12 months, making your procedure look better and better with time. Before receiving liposuction at Restore Beauty, a consultation will be scheduled with one of our beauty experts. Your desired treatment area will be examined so that a personalized plan can be made to best suit your aesthetic goals. After the procedure, a member of our staff will go over after-procedure care to ensure minimal downtime. Results will usually be seen immediately following the procedure, with more dramatic results seen 1-2 weeks after treatment, once the swelling from the procedure has decreased. Skin tightening improves over a period of months, with the best improvements seen 6-12 months post-procedure. Our staff will discuss expectations and timelines specific to your own treatment. You might also be wondering how much liposuction will cost. At Restore Beauty, each treatment is individualized based on your anatomy and specific needs and goals. We offer a free educational consultation where you can review all of your options, including non-invasive approaches such a CoolSculpting. A typical liposuction of the abdomen costs between $4,000 and $5,500. We understand that getting in shape can be difficult. It’s hard to set aside time to exercise and eat right. When you’re not getting the results you want and there are areas of fat that just won’t go away, no matter how hard you try, liposuction may be for you. And the best liposuction Northern Colorado has to offer can be found at Restore Beauty in Loveland, CO. If you’re looking for a liposuction treatment that is minimally invasive, has limited downtime, removes fat, tightens skin, and makes you feel comfortable and beautiful in your own skin, contact Restore Beauty at 970-278-0900 to set up a consultation with one of our beauty experts. You’ll be so happy that you did. If you’re looking for the best botox Northern Colorado has ever seen, then Restore Beauty Face and Body Clinic is where you want to be. We all know that as we age our faces start to show the effects of time. But did you know that how our skin ages and wrinkles is actually quite a complex process? It isn’t just about cellular changes, collagen depletion, hormone loss, or damage caused by free radicals, it’s also a combination of many factors, including stress and years of continued facial muscle movement. In order to combat all of these factors, an effective and proven method is needed. This is where Botox comes in. Botox is an injectable muscle relaxer that uses botulinum toxin type A to temporarily paralyze muscle, which reduces the appearance of facial wrinkles. Botox has actually been around for quite some time. According to YouBeauty.com, Botox was first used in 1977 to treat strabismus, a problem with the eye muscles. When it was later used to treat uncontrolled muscle spasms in the face, patients noticed fewer wrinkles in the skin overlying the treated muscle. As a result, doctors started using Botox for cosmetic purposes in 1996, and the FDA approved such use in 2002. Since that time, Healthline.com reports that there have been over 4.5 million procedures performed using Botox and similar medication to fight wrinkles, and it is the number one non-surgical cosmetic procedure in the United States. There are, in fact, an array of affordable non-surgical solutions to looking younger and reducing the effects of time. Wrinkle reducers such as Botox can reduce or eliminate the appearance of fine lines and wrinkles. They have the ability to relax the muscles that create facial wrinkles, which gives you a more youthful look. If you’re interested in looking younger, rejuvenated, and rested, the experts at Restore Beauty can help you achieve the results you’re looking for. 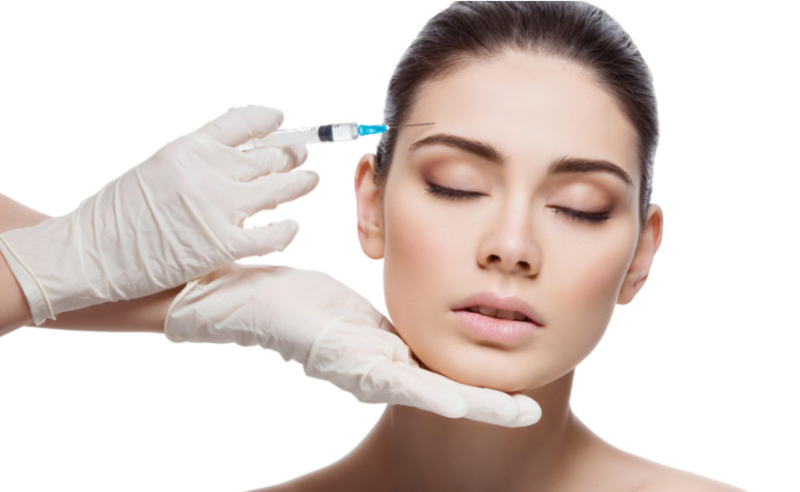 If you search “Injectables Near Me,” you’re sure to land at Restore Beauty, as we have a number of injectables to choose from in addition to Botox, including BellaFill, Juvederm, and Radiesse. Each of these injectable services can produce immediate volume and smoothing. The best part of having Botox or one of our other injectable services performed at Restore Beauty is that our medical experts tailor every treatment to fit your desired results. After a thorough evaluation, one of our injectors will customize a treatment plan that is right for you. Therefore, if you would like to see smoother, younger-looking skin on your forehead, between the eyes (glabella), or around the eyes, contact the providers of the best Botox Northern Colorado has to offer at Restore Beauty. Call us at 970-278-0900 to schedule your free consultation today! We couldn’t be more excited! January marks the launch of some brand-new CoolSculpting Fort Collins services at Restore Beauty! A non-surgical procedure that results in long-term, permanent loss of fat cells, CoolSculpting is an innovative way to contour your body by freezing unwanted fat away, with no surgery and little to no downtime. There have been over 7 million CoolSculpting treatments worldwide, and as a result, people across the globe are getting a better view of themselves. If this sounds like something you might be interested in, you’re definitely going to want to get in on our CoolSculpting Fort Collins launch. In January, we’re going to have a special CoolSculpting event complete with a presentation, demo, consultations, and light appetizers. More info coming soon! So how exactly does CoolSculpting work? This technology, developed by Harvard scientists, uses controlled cooling to target and crystallize fat cells. The crystallized fat cells die off, then are naturally eliminated from the body. 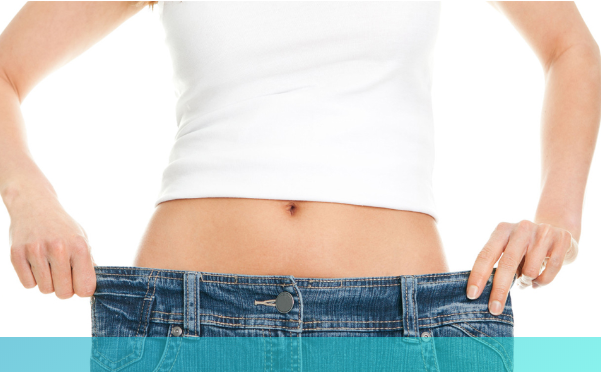 On average, CoolSculpting alone results in a 23% reduction of fat in the treated areas. 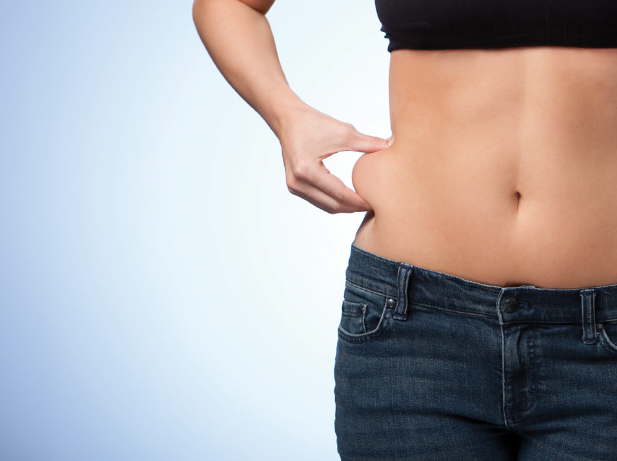 CoolSculpting destroys fat cells by actually freezing their fat content. It involves no downtime, no needles or cutting, no anesthesia, and no scarring. The most exciting part of CoolSculpting is that patients can start to see results as soon as three weeks following a CoolSculpting treatment, with the most dramatic results occurring over a period of two to four months. Results can be further enhanced by combining CoolSculpting with other treatment modalities. We combine CoolSculpting with a fat-cracking technology immediately post-treatment that increases CoolSculpting results by 40 percent. We call it CoolSculpting PLUS, and you can get it at Restore Beauty, your CoolSculpting Fort Collins experts. We understand that everyone comes in various shapes and sizes and one technology does not fit all, which is why we offer the most extensive and innovative range of fat-elimination technologies available in the Mountain States region, and we’ve got them all at Restore Beauty. Our team can help you get rid of unwanted fat permanently in three ways: cold (CoolSculpting), heat (Vanquish Me), or ultrasound waves (UltraShape Power). During your complimentary consultation, our medical experts will customize a treatment plan for you and will choose the right “tool” for your body shape, tissue type, lifestyle, and wallet. If you’re looking for “CoolSculpting near me,” check out Restore Beauty at www.restorebeauty.net, and we can help you look and feel your best in 2019! Call us at 970-278-0900 to schedule your free consultation today! When you look and feel your best, life is just that much brighter. The holidays are right around the corner… give yourself the gift of a healthy face and healthy skin to help you truly radiate during the holiday season. As you begin your search for an aesthetic clinic in Fort Collins, look no further than Restore Beauty. We’re passionate about helping men and women maintain the health of their skin and bodies through full-service aesthetic solutions. Our team is fully certified and experienced in providing the best aesthetic care in Northern Colorado. Restore Beauty, a comprehensive aesthetic clinic in Fort Collins, we bring you the latest technologies to help you turn back time. As a training and research center we are unique in Northern Colorado because we typically have multiple modalities to correct a problem allowing us to choose the treatment that best suits your individual needs. Our unique partnership with Restore Health, our Functional Medicine practice, allows us to tackle beauty from the inside out with a bias towards natural and restorative approaches. You will always look rejuvenated, rested and refreshed but NEVER done up! Restore Beauty is a Northern Colorado aesthetic clinic serving Fort Collins, Loveland, and the wider Northern Colorado area. Our services include:This holiday season, treat yourself to the gift of self-care. We’re here to help you reduce the effects of aging and help you achieve the appearance and function you desire. If you’re ready to get started at your local aesthetic clinic in Fort Collins, check out our specials page with a new offer every month and contact us to set up your free educational consultation. Skin Health – We all struggle with the effects of time, and our skin is one of the first things to show it, but there’s hope. Restore Beauty is here to help you reverse the signs of aging by addressing common problems such as abnormal pigmentation, lines and wrinkles, sagging skin, poor texture, and unwanted hair. Some of our services include: CO2 fractional resurfacing, micro-needling, Profound – nonsurgical face lift, Vampire facials, Jet Peel facials, IPLs, Venusviva Radio-Frequency skin resurfacing, BodyTite and FaceTite and our own skin gym. Depending on your goals and skin’s needs, we’ll help you determine which services will give you the glowing skin you deserve. Body Sculpting – We have the most comprehensive array of treatment modalities for body sculpting of any other clinic in Northern Colorado allowing us to choose the treatment or combination of treatments that best suits your needs. Our offerings include multiple CoolSculpting devices (cold), Vanquish ME (heat), Ultrashape Power (ultrasound), and minimally invasive liposuction and fat transfers. Hair Restoration – Restore Beauty offers a pain-free, non-surgical, multi-therapy approach for both male and female pattern hair loss that uses NO NEEDLES. Each of our four therapies is proven successful as a stand-alone, but by combining all into one package, we have created one of the most effective, non-surgical hair rejuvenation treatments in Northern Colorado. Learn more about the hair restoration services we offer by clicking here. Comprehensive Fillers- Most clinics choose one or two lines of fillers and focus on them in order to obtain better pricing. We offer every class of filler available because we want the option of choosing what is truly best for our clients. We are also one of the few clinics in Colorado offering Bellafill which is a filler with over a five year duration. Fat transfer- Using Micro and nano fat particles harvested from your own (at times undesired) fat deposits we are able to use these fat particles as a natural filler to restore volume in areas needing more volume. Rather than being limited by number of syringes that a client can afford we can now focus on optimal results with a totally natural and long lasting solution. This trademarked procedure is called the ALMI procedure. Vaginal rejuvenation and stress incontinence- We have four different and synergistic modalities to address urinary stress and urge incontinence in a non-surgical manner restoring function and freedom from this common problem. The Geneveve and O-shot procedures are one time treatments that also improve female sexual function and satisfaction helping address problems that have been traditionally neglected by traditional medicine. This holiday season, treat yourself to the gift of self-care. We’re here to help you reduce the effects of aging and help you achieve the appearance and function you desire. If you’re ready to get started at your local aesthetic clinic in Fort Collins, check out our specials page with a new offer every month and contact us to set up your free educational consultation.